From the author of The Wizard of Lies comes a thorough account of the crash of 1987 and a cautionary tale of how the U.S. financial system nearly collapsed. In making her case for the importance of the 1987 crash, Henriques has produced a valuable and unfailingly interesting account of a crucial two-decade period in Wall Street history — when markets made a full-bore transition from serving individual investors to a system dominated by giant corporations, mostly trading for themselves, and competing by means of arcane computer algorithms and spectacular processing speeds … Henriques gives us a gripping, almost minute-by-minute account of the weeks that followed, including the posturings, the denials and the panics, as well as the ‘web of trust, pluck and improvisation’ that pulled the markets through … Henriques has produced a highly intelligent and perceptive analysis of an important transitional era in modern finance. She is quite right that the quant-driven market complexities of the 1980s finally caused a real crash in 2007-8. Ignoring the events of 30 years ago, and the factors that led to that crash, is a terrible mistake, Diana B. Henriques argues in her meticulously researched new book. The conditions that preceded the market meltdown — new and complex financial instruments, technology-powered trading, the rise of powerful institutional investors, squabbling government agencies, and deregulatory zeal — haven’t gone away. 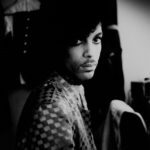 In fact, they’ve grown more pronounced … Henriques invested considerable time in research and interviews for the book, and she has nearly 100 pages of footnotes to prove it. Occasionally she will trot out an anecdote or scene to underscore the depth of her reporting … Henriques has produced a first-class cautionary tale that should be on every financial regulator’s and policymaker’s desk — and many an investor’s, too. In addition to describing Black Monday’s frantic activity, Ms. Henriques presents a narrative history of the seven years preceding the crash. It is rich in interviews and archival research and personalized with vivid descriptions of the actors and conflicts involved. Ms. Henriques uses this history to trace the changes in market structure and portfolio management that, she believes, were responsible for the market collapse. 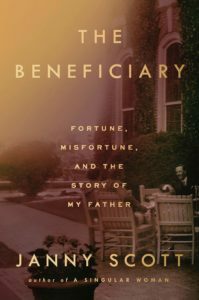 Her writing is so skillful that even mathematical risk-mitigation techniques and arcane turf wars between regulatory agencies are infused with life … To be sure, portfolio-insurance trades magnified the decline on Black Monday. But markets all over the world declined just as sharply as the U.S. market, and they didn’t have similar futures markets. Moreover, markets remained below their 1987 summer peak for the next two years. It is unsupportable to claim that the institutional structure of the U.S. market and a lack of unified regulation were responsible for the crash. 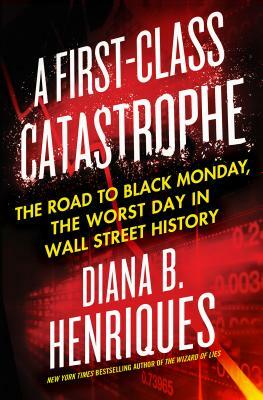 What did you think of A First-Class Catastrophe: The Road to Black Monday, the Worst Day in Wall Street History?